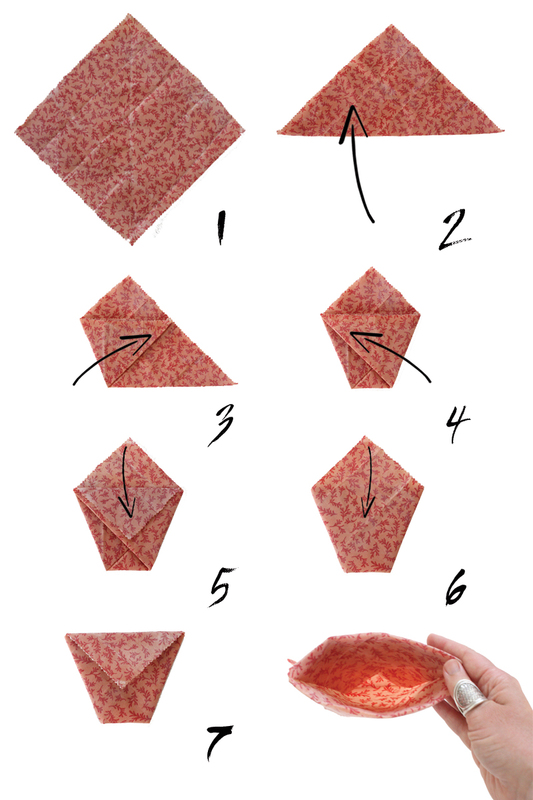 A simple origami life-hack to impress your friends at parties. Waste reduction can sometimes make you look like a weirdo. Whether it’s asking the store clerk to put your sandwich in your hand rather than a plastic container, or confusing the heck out of the register person at the supermarket with your collection of cloth produce bags- the truth is that waste reduction is still fringe dwelling in most parts of the World. 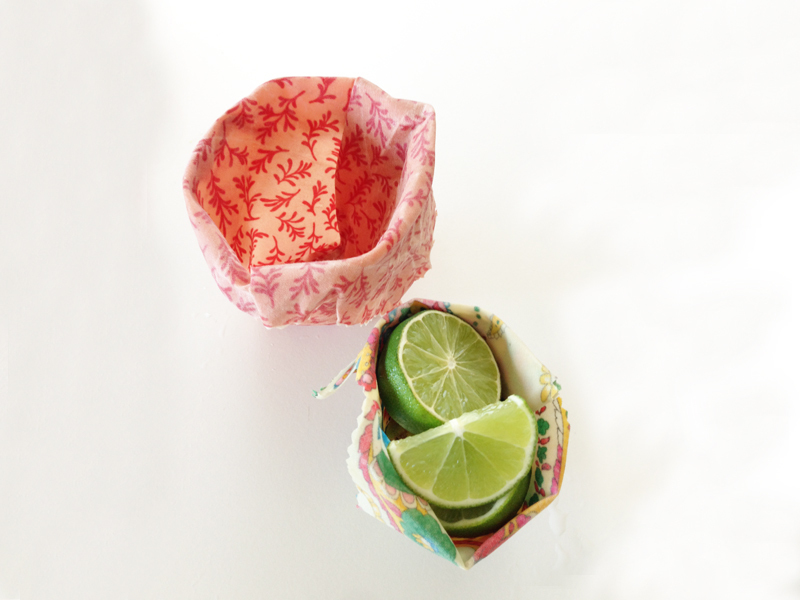 So when you can combine origami party tricks with zero waste lifestyle goals somehow your weirdo waste-reducing ways will make you the most interesting person at any gathering. This life-hack involves a bees wax cloth (sorry Vegans this isn’t for you) and a few simple folds. You can also add a ‘watch me turn this piece of fabric into a beer cup‘ statement and a magical hand gesture to the process for added finesse and wow-factor if you have a captive party audience. Fold the wax cloth as shown below. Use a square cloth. Fold it in half to create a triangle. Fold the left side of the triangle in and then the right (see steps 3 and 4). Fold the top flap down (step 5). 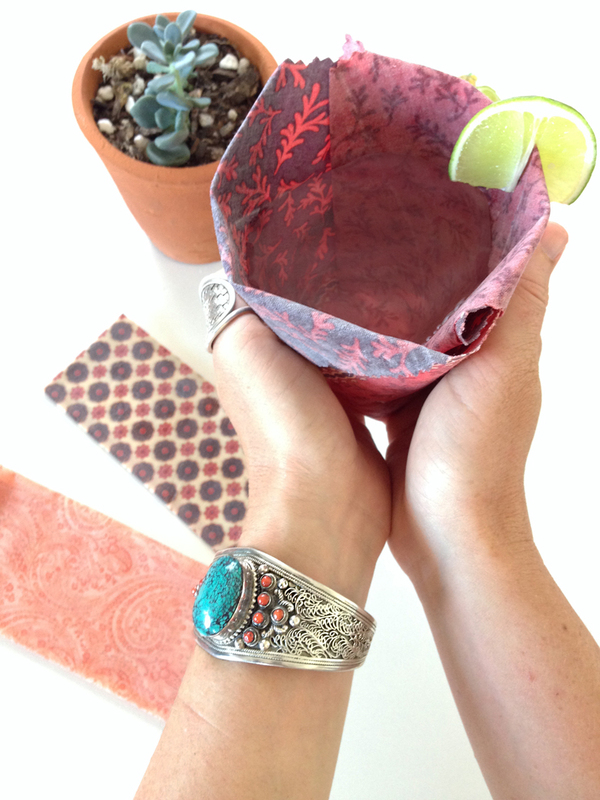 Flip your cup over and fold the flap down on the other side (shown in steps 6 and 7). Open the cup up and get prepared to fill it with snacks or liquid (at your own risk). These are probably not going to replace all the drinking vessels in your home, and aren’t watertight for long periods of time. However this is a fun way to drink on the go and a good get-about solution to those times you are out and want a beverage or some snacks (perfect for popcorn) on the go but there are only plastic cups and containers on offer. If you do want to try this I recommend testing at home. Your wax-cloths ability to hold water will be dependant on how well waxed it is and how worn it may be. My trials have resulted in a pretty much water tight cup for up to 5 minutes of drinking (deepening on how waxed your cloth is), but test at home or risk making a mess in public (and wasting perfectly good beverages… I will cry over spilled beer). The best bit about this life hack is that people will come ask you about it which is a great opportunity to talk about single use plastics while simultaneously impressing new friends with your origami skills. Would you try this? Have you tried this? Let us know all about it. I’ll give this a try! I got given some wax clothes for Christmas. What an awesome Christmas present BB! That’s gonna be fun. I love wax cloths. Let me know how it goes. I’m so glad you enjoyed it Jennifer! Let me know if you find an alternative use for it. Yes! I saw that non-beeswax option being advertised too. How exciting! Thanks for sharing Polly. I can’t wait to hear about all those amazed people who see your origami skills and zero waste prowess.